The Northern Lights at Abisko Sky Station (photo: Ewen Bell). 1. Spend at least a week in the Arctic Circle to improve your chances. On average, the combination of clear skies and solar activity yield three good viewings in a two-week trip. 2. Stay away from towns if you plan to take photos. 3. The months of November to March offer the darkest skies. 4. Aurora Alerts live tweets events giving you up to an hour’s warning of impending activity. 5. Tromsø is further north than Lofoten in Norway and offers excellent viewing, majestic fjords and direct flights from Oslo. 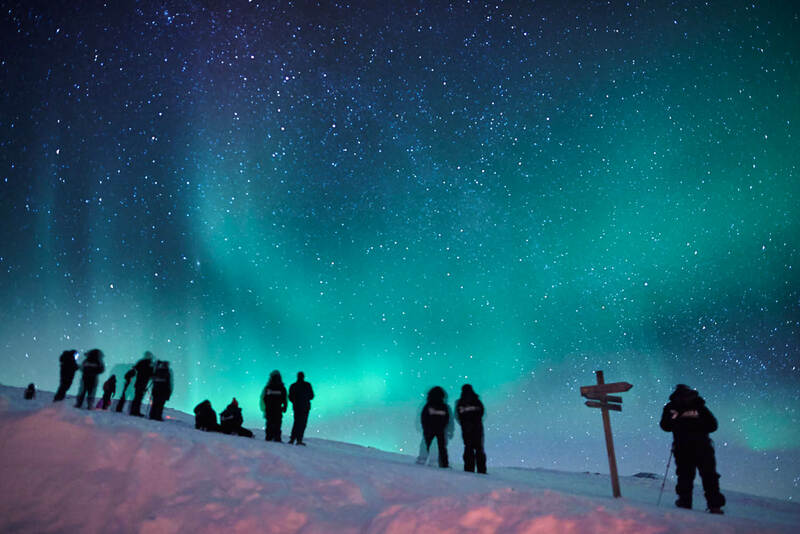 Local character ‘GuideGunnar’ is the most dedicated aurora chaser in Norway. 6. Iceland is another great place to look for the Aurora Borealis along with The Yukon and Fairbanks in North America. 7. Aurora Sky Station needs to be booked well in advance so don’t wait until you arrive. 8. There are plenty of good local guides to teach you about aurora photography, such as Fredrik at the Aurora Safari Camp and several photographers in Abisko who run nightly classes. 9. You need long exposures and a really good tripod that’s sturdy and easy to work with gloves on. 10. The starting point for capturing aurora photos is a slow exposure of about five seconds, with a wide open aperture around f/2.8 and maximum ISO. 11. You will want a very wide lens to get a sense of the scale in the night sky, 14mm for example, but still need a fast aperture of f/2.8 to reduce exposure length. 12. Technical advice on how and where to shoot auroras can be found at photography for travellers.